In a bowl, mix flour and water together. Kneed dough on the bench until smooth. Make an oval lump and form a point at on end to make a nose. Gently press each googly eye on top of the point-y nose. Cut sticks into 4-5cm pieces. 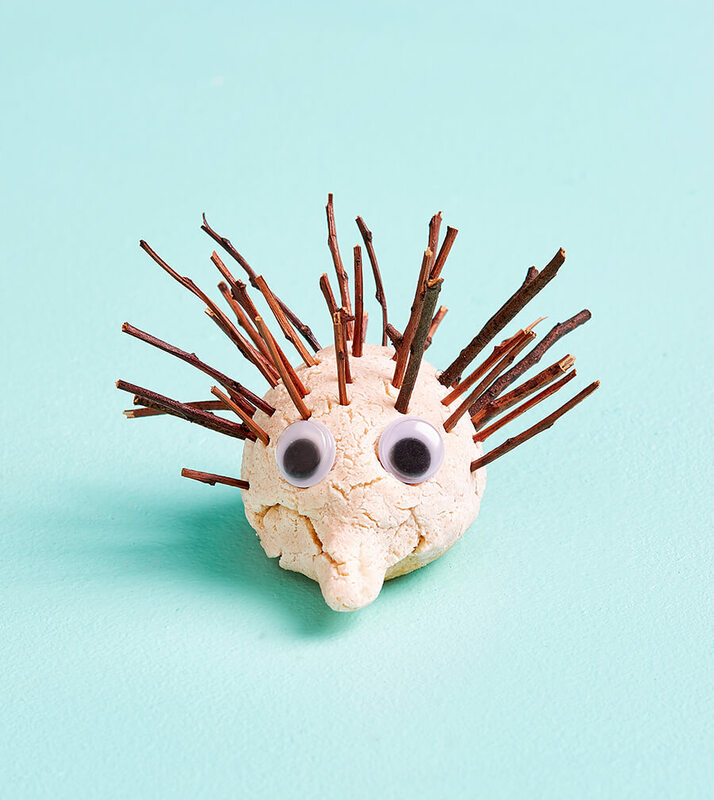 Stick into the top of the echidna to make it’s spikes. 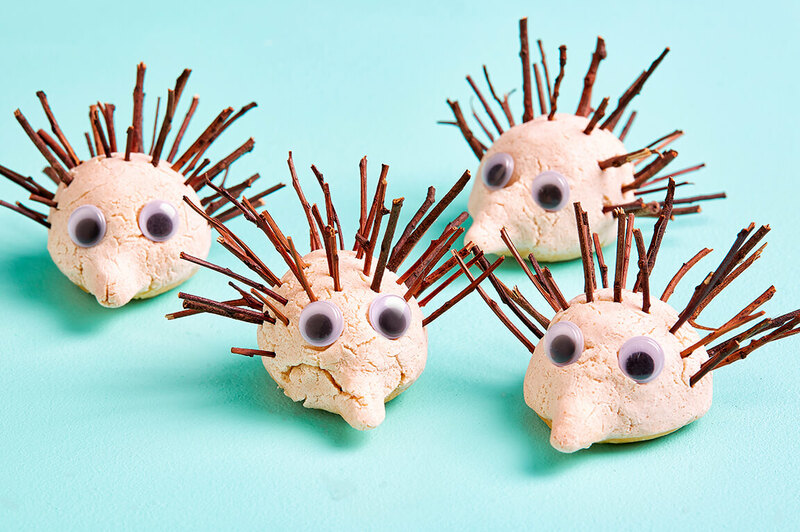 Bake the echidna in the oven until dry. This will vary depending on how thick the echnidna is.